You'll probably know that I'm not a fan of ordering clothes and stuff online. I can't be arsed with the hassle of having to send stuff back that inevitably doesn't fit because in actual fact I'm a size 9!! Sometimes an 8, sometimes a 10 but more often than not my size is somewhere in the bloody middle. 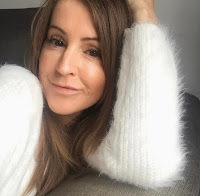 Anyway, putting the hassle aside, I've seen so many bloggers talk about their fabulous products from Shein recently, particularly Sinead from Love Style Mindfulness, that I wanted a slice of the pie. You know that feeling when you think you're missing out on something?! I particularly wanted the half moon cross body bag, you know, the dupe for the small Chloé Nile bag. I also had to have, and I mean had to have the dupes for the Hermes Oran sandals. (As seen on my Instagram/stories.) The lovely Josie from Fashion Mumblr made me want them. I'd read various comments saying that delivery from Shein was a lengthy process so I was prepared for that. I think some time ago it was even longer with items coming from further afield but I believe they now ship from Europe. My delivery still took a good two weeks to arrive and I was by that time getting a little impatient. First up, I need to talk about the sandals, I know they're not in this post but O.M.G they are gorgeous. Fabulous dupes. I worried that because they're such a good price they'd look cheap but far from it, the quality of the sandal is excellent, and so close to the look of the designer brand it's unreal. My goodness they are super comfy too. I ordered a size 3 and a size 4 because you know, I'm a size 9 clothing so had to be in the middle with shoe size too didn't I! I can get away with both so I've kept both. Why not, at least then I can wear them to death for the rest of this summer (what there is left of it) and next summer as well. The bag is cute and another super duper dupe. You can either wear it on the shoulder, across the body or carried by the 'O' shaped gold handle, apparently designed to resemble gold bracelets. In all honesty this bag is a bit jangly and noisy when worn using the long strap, as it all bashes about when you walk so I tend to carry it by the bracelet or as a clutch which is much better. 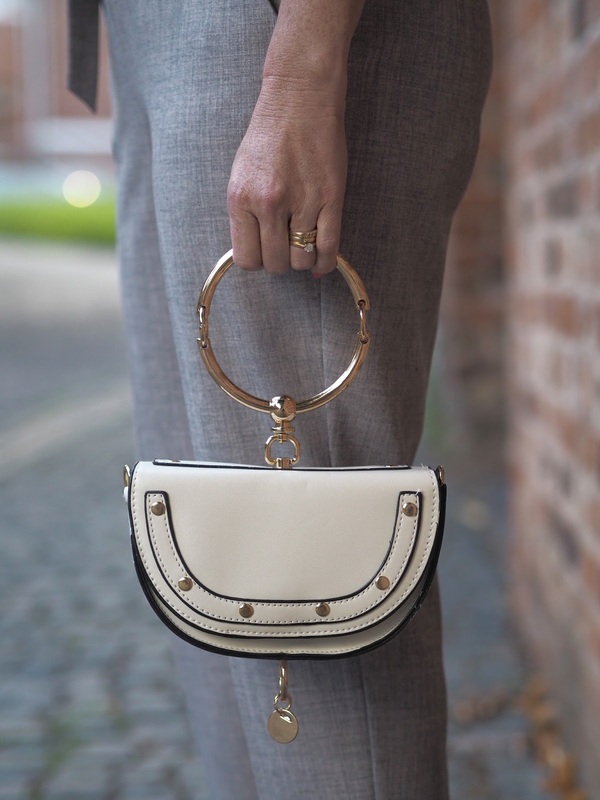 It's small and compact, you can't get a huge amount in it but it works for a night out, it looks stylish and adds a little something to your outfit don't you think? Who would know it's not the real deal? Let me tell you about these shoes too. 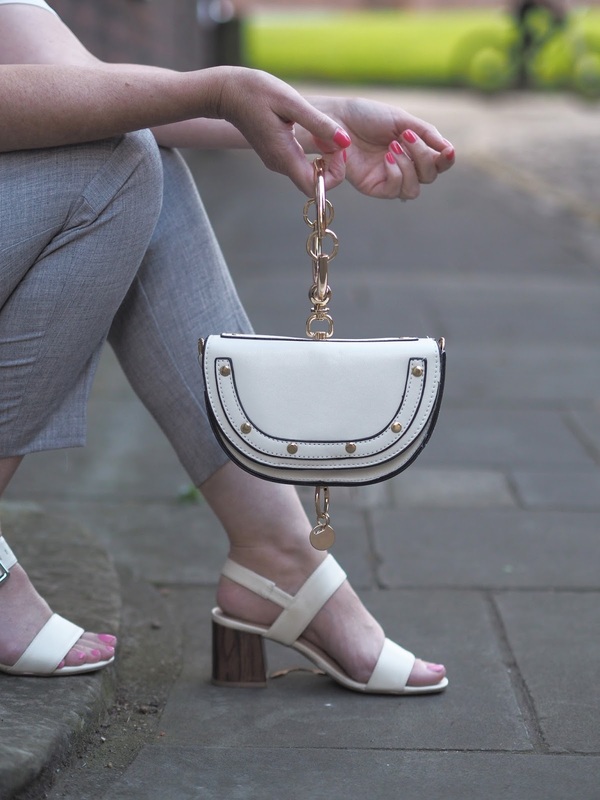 These beauties are from M&S and go with everything, whether it be casual with jeans, smartening up work attire or prettying things up with a dress. They just work. Simple and classic. And of course they look fab with my favourite cropped trousers. I love that the straps and buckles are chunky in design and the faux wooden block heel adds something unique. Oh yeah, and block heels get a big thumbs up for being easy to walk in right? No leaving your shoe behind with the heel stuck in the crack of the pavement! Overall, I'm impressed with the items I ordered from Shein, oh apart from a dress that wouldn't fit a size 0 never mind a size 9! Oh well, you win some, you loose some. I'm still deciding whether I can be bothered to send that back or sell it on elsewhere, I'm still trying to work out the returns policy, you have to raise a ticket or something and go from there. Make sure you read all the FAQs on delivery and returns before you order, and don't order an item you want to wear at the weekend, delivery takes an age, just remember to factor that in. I'll order from them again for sure as I'm impressed with the quality and the price point. Win Win. Steph you stunner! Loving all those items, such good choices and all seem quite timeless too! Thanks Heather that means a lot! Ohh I'll have to give the site a try as had been put off before by the negative reviews on the delivery time. I love your m&s sandals as well. And the trousers. You look fab. The delivery time is a bit of a bummer but as long as you factor that in, it's worth it, they have some great items. I love SheIn! 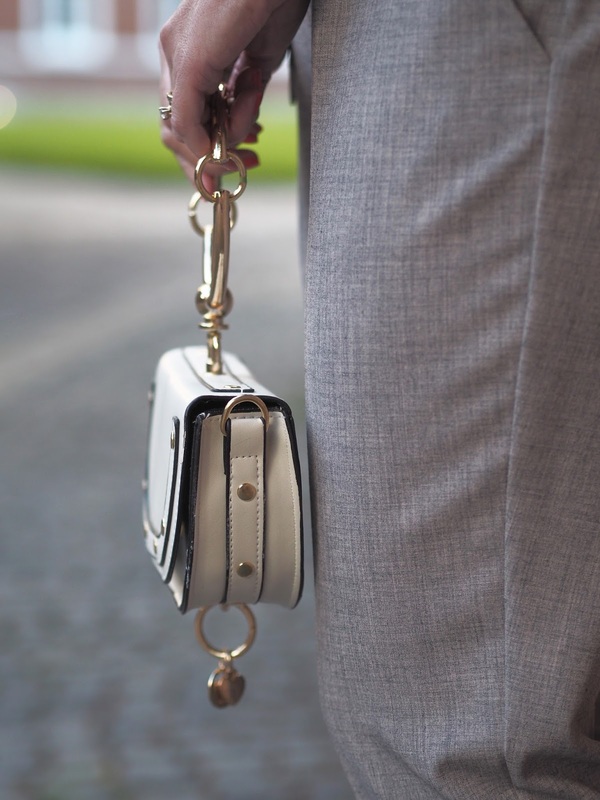 Im loving that Chloe dupe! You should also check out Romwe or even Zaful! You can get $10 off your order over $50!